As a son and his elderly parents learn their fate for faking artworks and artefacts worth millions of pounds over nearly two decades, we look at what their motivation was. For successful forgers, the trio had an unremarkable lifestyle. 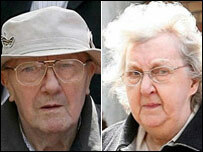 Despite having £500,000 in the bank they lived "in abject poverty", said police. Olive had never even left Bolton. Their greatest known scam, before the law finally caught up with them, was conning Bolton Council into buying the Amarna Princess, a phoney ancient Egyptian statue, for more than £400,000. They also faked works by LS Lowry, Samuel Peploe, Thomas Moran, Barbara Hepworth and Otto Dix and were behind the now infamous 'rediscovery' of the Risley Park Lanx, a lost antiquity from Roman Britain. So how did these most unlikely master criminals get away with it for so long? When Bolton Council used grant money to buy a stunning translucent alabaster Egyptian statue for £440,000 in 2003, it appeared to have pulled off a coup, saving a rare artefact - apparently dating back to 1350 BC - from leaving the UK. Instead, the local authority had acquired the handiwork of Shaun Greenhalgh, a prolific sculptor and artist who had created the Amarna Princess from a block of calcite using an ordinary mallet and chisel. Key to the Amarna Princess deception was a genuine copy of a 1892 catalogue detailing the sale of contents of Silverton Park in Devon, the home of the 4th Earl of Egremont. George Greenhalgh claimed his grandfather had been at the sale, snapping up one of two 'Egyptian sculptures' listed in the yellowed pages of the catalogue. He said it had passed down through the generations of the family and Shaun produced faked letters to back it up. Shaun had done his homework. He had meticulously researched other known sculptures from the Amarna Period in Egyptian history to ensure the realism of his creation. But the sale of the Amarna Princess was a short-lived success and it was not long before George, Olive and Shaun came to the attention of the police. Two years later, in 2005, George Greenhalgh approached the British Museum with what appeared to be three Assyrian reliefs, dating back to 600 to 800BC. Again it was claimed the artefacts had been bought by his grandfather at the Silverton Park auction of 1892. Again an elaborate story of how the reliefs had been passed through the family was recounted, supported by faked letters. But, for once, the Greenhalghs had been sloppy and museum officials tipped off the police. Detective Constable Halina Racki from the Metropolitan Police's Art and Antiques Unit said the reliefs had tell-tale signs of forgery. "Some of the cuneiform script was wrong. These reliefs would have hung in palaces so they would not have had spelling mistakes in the script." When the police raided the Greenhalghs' home they found two more 'Amarna Princesses' in a bedroom wardrobe. They also found the tools Shaun used to craft his statues and the raw materials used in countless other forgeries. As they embarked on a protracted and complex investigation the police discovered the scam had been going on for at least 17 years - and perhaps even longer. Det Con Racki said: "The extent of their work is huge across many sections of history and types of work, from stone to marble to silver to paintings and pastels." Another creative scam was the Greenhalghs' claim to own the Risley Park Lanx, a Roman artefact that had disappeared after it was first discovered in pieces in a ploughed field in Derbyshire in 1729. They failed to sell their fake version of the Lanx but the British Museum did put the item on display as a replica. Detective Sergeant Vernon Rapley, from the Met's Art and Antiques Unit, said investigators found half a million pounds in the Greenhalghs' bank account, and believe they probably made much more. But he said they did not appear to have been motivated by money. He said: "They didn't own a computer or live in luxury; they were living in abject poverty, a very poor lifestyle, very basic. Olive hadn't even travelled outside of Bolton. "They had a resentment of the art market and wanted to prove they could deceive it." 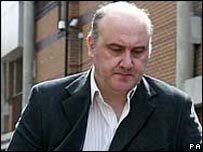 "Shaun Greenhalgh felt he was a better artist than he would ever get recognition for and developed a general hatred of the art market and the art establishment. But Det Sgt Rapley said it was the fact the forgeries had cleverly faked histories of ownership - realistic 'provenances' - that fooled the art world for so long. "I think with all of these things it was the provenances that sold them. Looking at them now I'm not sure the items would fool anyone, it was the credibility of the provenances that went with them. "There are far better artists in this world than Shaun Greenhalgh and far better forgers but I've never come across a forger able to do that many disciplines, that's what made him so exceptional and accomplished."